Samantha went out to work one day, even though she didn’t feel so good. She’d already been to the doctors the week before (he’d said there was nothing wrong with her), but every day she felt more tired, sick, headachey and just…not really herself. Her friend told her she’d snapped a couple of times, although Samantha didn’t remember it, and she’d become more withdrawn preferring just to crawl in to bed after a long day at work. Samantha arrived in the HR office on time and was prepared to get in to a fight: how dare her boss criticise her for being a few minutes later than usual, she’s normally always on time and has been working all those extra hours lately! That recent project seemed to be going really well – surely that counted for something! By now her heart was pounding, and Samantha felt her fists clench as she walked through the door. “Hi Samantha”, said her boss, “thanks for coming in. That project you’ve been working on has really taken off, so we’d like to offer you a pay rise and a promotion. How do you feel about that?” Samantha fainted. This story is one I use on my workshops when I talk about how we respond to threats today – or at least, what we perceive as threats – as part of a natural response called ‘fight or flight’. In this hypothetical case, Samantha is like many people suffering with stress, and her body is telling her it’s time to do something about it. The symptoms she had and the way she responded when under pressure – or what she saw as pressure – were a call for help, even though her stress was ‘silent’, in that she didn’t realise how badly she’d been affected. We know that stress can have a huge impact, not just on our mental health but physical health too. It can take its toll and soon seem like the enemy. Everyone’s different, and so we experience stress in different ways; what some people find stressful, others don’t. Samantha had reached her limit. It turns out, so had her boss. The reason she’d given Samantha an ‘angry look’ was because she’d had an argument before she left the house that morning, and it was playing on her mind. Her anger had nothing to do with Samantha at all. Raising your awareness to what’s causing you stress can be helpful, but if you already know what’s causing it, you may need to start making a plan as to what you can do about it. Visiting your doctor is a first step, so they can rule out possible causes of any physical symptoms you have, and then if they diagnose stress they may ask you if you’d like some time off to find ways to manage it. Sharing the load can be useful. You could try talking to your manager if you’re feeling over-loaded or reaching out to friends or family members for help, so you can have time to relax. If you’re nervous speaking to your family about your mental health, Heads Together have some great tips for talking. Talking to someone impartial can also be useful. Finding ways to relax that help you are important – not everyone relaxes in the same way. Whether it’s a bike ride or reading a book, find something that works for you and schedule time in your diary to make sure it happens. Mindfulness is a useful technique for reducing stress. I offer stress counselling through 1-1 sessions as well as group training on stress and anxiety management. Send your enquiry using the button below or get in touch. Calls and emails are answered during office hours. Two travelling monks reached a river where they met a young woman. Wary of the current, she asked if they could carry her across. One of the monks hesitated, but the other quickly picked her up onto his shoulders, transported her across the water, and put her down on the other side. She thanked him and went on her way. Letting go isn’t easy. Life can challenge us in many ways and the ripple effects of hurt and problems can stay with us for months or years to come. Our time spent worrying about the future, or thinking about the past, can take us away from the here and now, and in doing so we miss the beauty of what’s happening all around us. This is where mindfulness can help us focus our mind and our awareness in a way that can be good for us. Have you ever driven your car to work and not remembered the journey? This “automatic pilot” is what many of us have become used to, and it can stop us from living a fulfilling and rewarding life. We exist, rather than thrive. We get stuck in a rut. Mindfulness is also about becoming ‘unstuck’. The teachings (which are over 2000 years old and which include those taught to me by a Buddhist monk) focus on bringing your awareness to your situation in a way that can be healthy and effective for you. It’s about putting you back in touch with who you are, what you want, and helping you to steer in a direction where you’re in control. The benefits of mindfulness are known to improve sleep, reduce anxiety, and is also believed to help manage pain and stress (suitable in pregnancy). I also offer Mindfulness Based Stress Reduction (MBSR), a technique to help reduce stress, manage anxiety and live mindfully. Group learning on this topic is also available for private and corporate clients. You can use the form below to enquire about a 1-1 or group learning event. Dear Delphi. Thank you for a fascinating session. Will certainly try these techniques to help me drift off to a good night’s sleep. Please use the form below to get in touch. Clients who subscribe receive a discounted rate of £35 per session. (Before discount: £45 an hour). There is also a guide about meditation in the Members area which is exclusive to subscribers who join my mailing list – it’s free to subscribe. *NEW* Factsheet – What is Mindfulness? There is also a guide on meditation in the members area, exclusive to subscribers of my mailing list. It’s free to subscribe. Jack was 39 years old when he decided enough was enough. He’d been bullied all his life. He was “too short” and “too fat” at school. He was in a loveless relationship for 15 years to a woman who cheated repeatedly. (They tried marriage guidance but apparently it was “all his fault”). At work, his boss would criticise and micro-manage. And, perhaps worst of all, his life choices were only ever good enough if he won his parents’ approval or sought their permission. He was under constant pressure, drinking heavily and gaining weight. Fast. One day he woke up and wanted a different life. 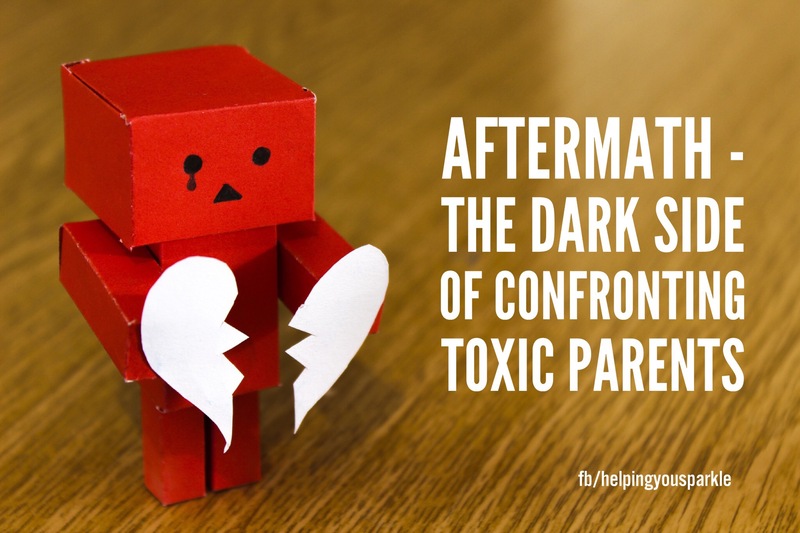 So he asked his wife to leave, changed his job and prepared himself for the biggest conversation of all – to tell his toxic parents that he would no longer tolerate the emotional neglect and psychological abuse he had suffered from them for years. His mother in particular, he described as a terrifying narcissist; a passive-aggressive, surly bigot. She made no secret of telling him what she thought of the women in his life and would gossip for hours about people she would say she liked to their face but secretly hated behind their back. She had something to say about everyone, had an opinion about everything and woe betide anyone who didn’t agree with her. Her idea of unconditional love was doing things her way or no way and she could shed crocodile tears at the drop of a hat. Like many clients I am aware of, including those affected by domestic abuse, what made Jack’s story so painful for him is not just that he had been suffering in silence for so long, or that his parents seemed blissfully unaware of his emotional pain. It was what came next when he found the courage to confront them: his mum and dad sided with each other and they set out on a path of trying to discredit and destroy him. They would deny actual events that had happened (known as gaslighting), make accusations of their own (with no substance) or ignore him and his concerns if he tried to reach out. It reminded me very much of typical perpetrator behaviour in a domestic abuse situation. One would have expected if not hoped that, when confronted, the parent least responsible would have taken their son remorsefully into their heart, promised to protect him and keep him safe from the bully or abuser who had neglected his feelings for years, and reassure him that this would not be allowed to continue. Surely, even at 39 years old, a child is still a child to their parent. But in Jack’s case, like many others, he was left out in the cold. Thankfully for Jack he managed to build a new life for himself, with the help of friends and someone to talk to, he was able to make peace with his past and walk away with dignity from those who’d hurt him time and again. He lost weight, his confidence grew and he is now looking for ways to help others from the experiences he’s had. He began to believe in himself, and started to realise, with help, that he had a right to say how he feels. But it’s not always easy when you don’t have someone to talk with or when you start to doubt your own value – or mind – when people you once looked up to let you down. There have been a lot of articles recently about narcissists and toxic family members but rarely is it acknowledged that for those who dare to challenge the people responsible for causing their hurt, that they may have to deal with this type of aftermath: of rejection from people meant to love them unconditionally. One thing Jack would tell you now though, if you asked him was it worth it, challenging his parents’ behaviour knowing they’d reject him? He would say absolutely, he’s happier now than he’s ever been. As I often do, I have quoted Desiderata, for those who question their value in the world: you have a right to be here. Speak your truth quietly and clearly; and listen to others, even to the dull and ignorant; they too have their story. Avoid loud and aggressive persons, they are vexations to the spirit. Be yourself. Especially do not feign affection. Neither be cynical about love; for in the face of all aridity and disenchantment it is as perennial as the grass. But do not distress yourself with dark imaginings. Many fears are born of fatigue and loneliness. Beyond a wholesome discipline, be gentle with yourself. Therefore be at peace with God, whatever you conceive Him to be. And whatever your labors and aspirations, in the noisy confusion of life, keep peace with your soul. With all its sham, drudgery and broken dreams, it is still a beautiful world. Be cheerful. Strive to be happy. If you or someone you know is being affected by the behaviour of others, you could encourage them to keep talking and reassure them they deserve to be heard and be happy. Encourage them to speak to their GP, the Samaritans or, in cases of domestic abuse, organisations like Refuge may be able to help. Please feel free to share your stories of toxic parents here. Footnote: the details of this story have been changed to protect the individual mentioned, the content and context is produced with permission. For more insights sign up to Sparkle, positive mojo direct to your inbox. For instant and exclusive access to the Members Area, to download free guides, mp3s and videos designed to help you sparkle click here>>. Subscribers can also receive up to 30% discount on services, subject to availability. Jenny was 33 when she met James. She had been on her own for about six months when they started seeing each other and she had enjoyed the single life. They’d met through someone at work and at first would just meet for a coffee. She remembers how he made her laugh, although looking back he talked about himself a lot. He would tell her sad stories too, about things that happened “to” him, never because of him. He talked about his poor relationship with his emotionally distant mother and how his last girlfriend had betrayed him. She remembers thinking that he just needed someone to love him the “right way”. She felt she was the person who could do that. Within weeks he’d asked her to move in, she remembers now thinking it was probably too soon but at the time she felt so in love and so happy – he was so handsome and attentive, and he said he wanted to be with her all the time. She remembers how, in the early days, he would stop her in the middle of the High Street, and kiss her passionately and how he didn’t care who was watching. It took her breath away. Then things seemed a little different. He would get upset when she suggested she go out with a friend. She’d make excuses to her friends with a smile, reassuring them everything was fine but that she needed to make her new relationship a priority. If she did go out, and missed a text message from him, she’d get another one from him suggesting she didn’t love him anymore. She would reassure him, telling herself that he was still hurting from his last relationship and if she loved him the “right way” he would realise soon that she wouldn’t leave him. So she stopped going out. She was cooking a meal one day when she accidentally spilled some rice on the floor in his kitchen. She remembers now the look on his face; it sent chills down her spine. He looked so angry but didn’t say anything; he walked away from her and ignored her for an hour. She promised him she would clean it up and spent the evening attending to his every need as a way of making it up to him. She would say to herself “it’s only rice” but she knew he was mad, and she’d seen him angry before. She remembers a time when they were out in the car and another driver shouted at James, because he nearly caused an accident at an exit. James chased the car down through the city forcing the other driver to pull over, pulling the driver from the car and pushing him up against it; James only stopped when he saw children crying in the back. He was sorry about that. He was sorry every time he got angry. Jenny had to spend time in hospital with a mysterious illness and when she got home she logged on to Facebook; she hadn’t meant to see James’ account but he was still logged in. She saw messages he’d sent to another woman whilst she was in hospital; he’d been telling the woman the same sad stories he’d once told her. She asked him about it and he said it was her fault for “leaving” him by being in hospital – that’s when the pushing started. He hurt her and, of course, it didn’t stop there. She ended up in hospital again, only this time there was no mystery about why. Jenny is okay now. She planned her escape eventually, with the help of people around her, but those first few weeks and months were hard. He would cry and beg her to stay. He would tell her he would kill himself. She thought about going back. And then he found someone else and now she is glad she doesn’t hear from him at all. 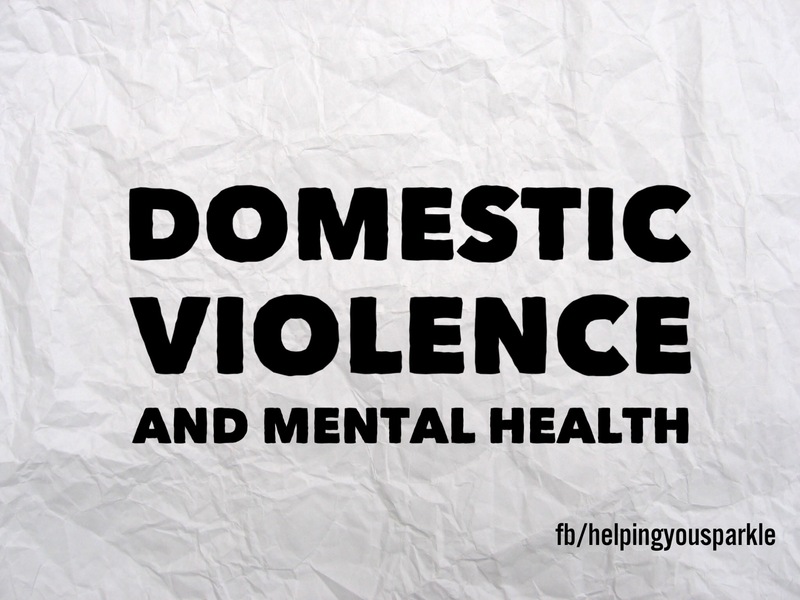 The effects of domestic abuse can take their toll, especially on mental health. After the split, Jenny’s self-esteem and confidence were low, and it took a long time for her to trust anyone again; she asked for help from a professional and took time to heal with friends and family. James had somehow managed to make her feel unloveable, even though she knows now she can love and be loved. She still lives with the emotional and physical scars – she still has the occasional nightmare – but her life is so much calmer now, and she is happy again. Domestic Abuse affects men, women and children. It’s not just partner against partner, parents can be abusive towards children of any age and vice versa. It’s not exclusive to heterosexual relationships, and it’s not always violent. Domestic abuse can be emotional, financial, psychological, sexual and physical. Three women a week take their own lives to escape domestic abuse and 750,000 children in the UK witness domestic abuse every year. But help is available. If you know someone affected, you can contact local sources of support and national organisations like Refuge for more information. If you live in Milton Keynes you can visit MK:Act here and for help in Bedfordshire click here. You may also like my eGuide in the members area of my website called “Reclaim Your Sparkle” when you subscribe to my mailing list. Interested in dreams and sleep? Take a look at my dedicated online resource. This article was created as part of Mental Health Awareness week. Please read the important information at the bottom of this page before leaving a comment or question. Thank you. The names and certain elements featured in this article have been changed for confidentiality reasons. When life events have taken you down a path, either out of habit or circumstances beyond your control, you may find that where you are isn’t really where you’d planned to be. When a relationship breaks down for example, especially if that relationship was one-sided or controlling, you may come away wondering who you really are, what you really like and where you actually want to go now. Bereavement and other types of loss, like redundancy, can all leave you feeling as if you’ve arrived at a crossroads with important decisions to make. Believing that you have no purpose in life can be a huge source of distress. During a time of crisis, without a support network of healthy relationships, if you lack confidence or feel unable to articulate your concerns, it would be easy to think you have no contribution or value to add. But it’s during this time that developing your own personal, positive space, exploring your spirituality and asking for help can make all the difference to a positive outcome. Spiritual health is about a person’s approach to life, their understanding of who they are, where they fit in to the world, what brings them peace and what they bring to the party of life. It’s your values, beliefs, what gives you a sense of meaning and purpose, what nourishes you on a deeper level and what makes you “you”. The definition of spirituality is not based on religious practice, in fact some spiritual people follow no religion at all. Religion can form part of what defines a person and who they really are, but that is only one part of their ‘spiritual self’. Spirituality is also about our ability to show empathy and compassion towards ourselves and other people. There is always uncertainty around time of change; you may be frightened or unsure of what will happen next or consider ways that you can change the outcome of what’s happening, through your thoughts or behaviour. Change can cause or exacerbate symptoms of stress, depression, anxiety and negative thinking, which can all lead to feelings of hopelessness. This is how spiritual health – how you approach the world and whether you have faith in a positive outcome – can affect your overall health. Spirituality can help with mental ill health if you can create a space for possibility when everything else feels like it’s falling apart or out of control. It’s recognising the connection between your mental, physical and spiritual health in your wellbeing, and other people seeing you holistically, not just as the label of an illness you may have or a situation you find yourself in. If you are going through a period of crisis you may find talking to the Samaritans helpful. You may find your doctor, a spiritual advisor or talking therapy can also help you make sense of the chaos you may be experiencing, both inside and out, and help you discover true meaning. You can also access free Guides to help you reconnect with your sparkle when you subscribe to my newsletter. Dreams and nightmares can feature in our discovery of who we are and where we go next; you might like our dedicated resource on Dreams and Sleep. I also offer Spiritual Coaching to explore these topics in more detail. This article was written as part of Mental Health Awareness Week. Please read the important information at the foot of this page before leaving a comment or question. Thank you. Being in an unhealthy relationship is as bad for your health as smoking 15 cigarettes a day. This comes from a new report by the Mental Health Foundation which is asking us to explore the connection between relationships and mental health. When we think about relationships, we may assume that means having an intimate partner. 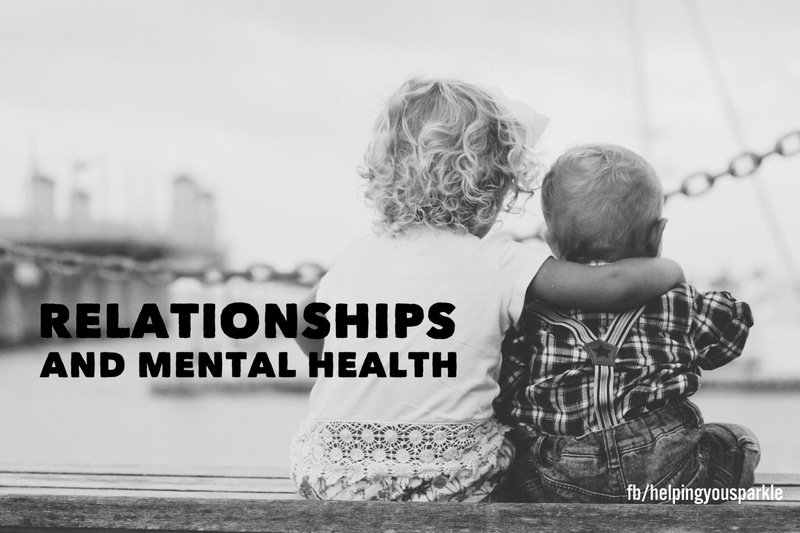 The Mental Health Foundation defines relationships as “the way in which two people or more are connected”. This means relationships with anyone, from people you know well, like close family and friends and those you may only know in passing, like neighbours in your street, a colleague at work or a health professional. Relationships are important because they provide us with a sense of community and belonging. Our basic instincts are to be part of a tribe, but research is showing us that who we choose to spend our time with can have a negative or positive impact on our physical and mental health. Perhaps it’s the absence of a relationship which causes your low mood. Stephen Fry wrote his thoughts about lonelines, which weren’t so much that he wanted to be alone but he wanted to be left alone. In many ways, the research suggests that it’s better to be on your own than in a relationship which is bad for you. If you’ve ever found yourself in the company of someone who talks down to you, laughs at you (not with you), ignores or attempts to control you, these are all signs your relationship has become toxic. You may know that already, but are finding it hard to make a healthy change. If you want the relationship to work, whether it’s your parents, siblings, children or partner, you may find the help of a mediator useful – perhaps through an agency like Relate – but it has to be a joint effort. If you are coming into regular conflict with someone close to you, especially if this is having an impact on your physical or mental health, or are unsure of the signs of domestic abuse, then be sure to safeguard yourself and anyone else close to you, like children, as soon as you can; local health services and organisations like Refuge can help you plan your exit. It’s not just the presence of people in our lives that can cause us stress, the absence of them can too. According to the study, having a friend who lives close by can increase happiness by as much as 25%. This means that moving away from home can have an impact just as losing someone close following a bereavement. Raising your self-esteem, improving your confidence, recognising your right to be heard and setting healthy boundaries will all be an important part of finding relationships that work for you – talking to your doctor, trying mindfulness or accessing therapeutic support may all be useful. You can also access free guides on how to rediscover your sparkle when you subscribe to my newsletter. This article was written as part of Mental Health Awareness Week. Please read the important information at the bottom of this page before leaving a question or comment. Interested in dreams and sleep? Take a look at The Dreams Maven™ website. Why I won’t give up chocolate: exploring the connection between mood and food. It’s no secret, I’m partial to a packet of maltesers, will gladly dive in to a box of Jaffa Cakes and have occasionally been known to order ice cream only if it comes with chocolate sauce. There’s also no secret to the fact that too much of anything, especially with sugar in it, is bad for you, which is why I don’t eat chocolate all the time. But now and then you need some “chicken soup for the soul”; in my case that chicken soup is chocolate. There is a strong relationship between food and mood. If you’ve grown up with a healthy relationship with food, then you eat when you’re hungry, you eat regularly, in proportion to your weight and you don’t binge or purge food; you know when you’ve “had enough” and don’t eat more than you need. But for many people, they’ve developed an unhealthy relationship with food, and when stress is present you may starve yourself (albeit sometimes unintentionally, or not for long), withholding food because what you do or don’t put in your body is the only control you have, if it’s even on your mind. Or you might eat until you feel or are physically sick. People don’t necessarily like labels like Anorexia or Bulimia (both of which are more detailed than I will go into here), but nonetheless these are words that can spring to mind. There are many reasons people develop an unhealthy relationship with food. If your main carer gave you food as a child whenever you were upset, you will naturally see food as a source of comfort. If you have lived with someone who associated being attractive with low weight, then you may become fixated with keeping your weight down because you believe they will stop loving you or leave you if you don’t. But stress also plays its part. For a long time, I wouldn’t – couldn’t – eat if I was stressed. I skipped breakfast, lunch and occasionally dinner, only snacking on chocolate or drinking sugary tea in between. When I started to realise the negative impact this had on my health – my skin was terrible, amongst other things – I made a promise to myself that I would eat breakfast every day, and made a point of having lunch and supper, even if it was something small, but always fresh (never processed). I had to figure this out for myself though, no amount of people telling me I had to eat made much of a difference. Ironically, when I suffered with depression during pregnancy, eating was all I ever seemed to do. We also know there’s a link between food and anxiety, that being that certain foods – usually containing sugar or caffeine – can make us feel edgy. Keeping a food diary can help you establish connections between what you eat and how you feel. Keeping a food diary can help you establish connections between what you eat and how you feel. Depression can be a vicious circle when it comes to food. If you’re low, you may not want to eat, and if you don’t eat your mental health will deteriorate. In all these cases, particularly if your thoughts are turning to other forms of self harm, seek help from your doctor immediately. So, I will never give up chocolate because now I have a healthy relationship with it – it’s my occasional ‘treat’, and that’s okay. 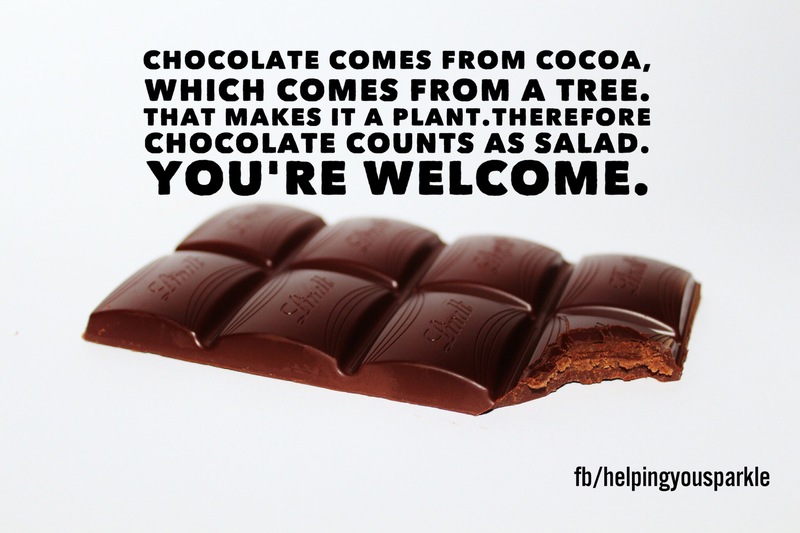 Plus, there are believed to be some benefits of eating chocolate, particularly dark chocolate. What I also do is make sure I eat, even if it’s little and often. I incorporate healthy foods like fruit and vegetables, and make sure I get the right balance of carbs, protein and fat in my diet. Remember, if you discover links between a negative mood and food, seek the help of a professional. If you want some more tips, subscribe to my newsletter for access to the members area including a downloadable guide on help with improving sleep. Interested in Dreams and Sleep? Pop over to The Dreams Maven™ website. This article was produced for Mental Health Awareness Week to start a positive conversation about mental health. Please read the important information at the bottom of this page before leaving a question or comment.